Last year, we joined the crowds who flocked to places away from home for the Christmas break and hauled the caravan to Wairoa to stay with whanau and a myriad of rug rats on their farm. We drove back to Auckland via the East Cape, which is one of the areas in New Zealand that not only allows freedom camping but also encourages it. This year, the by-laws have been updated. 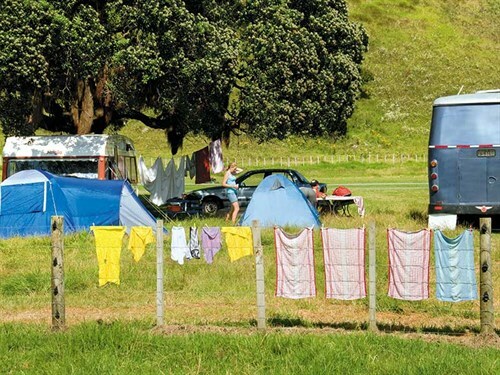 Freedom camping (no charge) is allowed all year round at Marina Park and Kaiti and Makorori Beaches. It’s also permitted in the off-season (from April to September) at Tolaga Bay, Kaiaua Beach, and Tokomaru Bay. 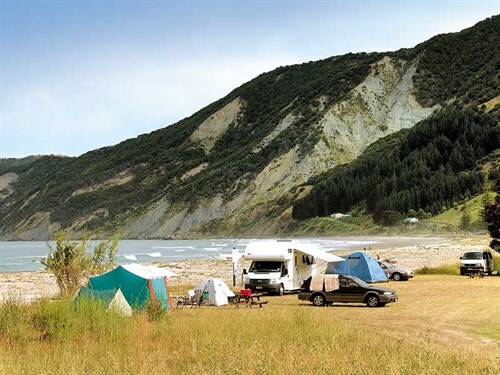 What used to be known as freedom camping is now called summer camping and the designated areas are near some of the best spots by the beaches at Turihaua, Pouawa, Waihau, Tolaga Bay, Kaiaua, Tokomaru Bay, and Waipiro. This privilege is not entirely free and is only allowed between the beginning of daylight saving (last Sunday in September) and the Easter holidays of the next year. Intending campers must first buy a permit and display it on their vehicle. They must also have a chemical toilet of some kind, a gas cooker, and their own water supply (in places were there is water available, it’s not suitable for drinking). Permits have a token charge and rubbish bags are provided: $16 dollars for up to two nights, $31 for up to 10 nights, and $66 for up to 28 nights. One permit is issued for up to six people. Campers fill their rubbish bags, place them in a visible place, and every two days, the ranger (a cheerful fellow) drives along the coast, collects all the rubbish bags, checks on permits, and generally keeps things in order. Inspectors also call at random times to keep an eye on things. Because of the permit system and because the areas are policed (albeit not every day), most campers stick to the rules without any prompting. The system seems to work for everybody—for the villagers, motorhomers, caravanners and campers, and for the council. There’s no booking but permits are available online or at GDC offices or the i-Site in Gisborne, Te Puia Springs Service Centre, Uawa Food Market, Tolaga Bay, and Easts Outdoor Work and Leisure in Makaraka.